The mega US carrier Delta Air Lines's investments in Terminal 4 at New York-JFK have made it a world-class gateway in the Big Apple. Now, thanks to the airline's partnership with CLEAR, the facility is also the latest to offer a faster way through security lines. Terminal 4 joins JFK's Terminal 2, Delta Terminals C and D at New York-LGA, and Delta Sky Clubs at both hubs in giving customers the option to speed through New York airports with just the touch of a finger or blink of an eye. In total, some 24 of the busiest airports where Delta flies now feature CLEAR. "We understand the value of speed and reliability, especially in a city as hard-working as New York," said Henry Kuykendall, Delta's S.V.P. – Airport Operations, Northeast. "Partnering with CLEAR to deliver a quicker journey through security is an important part of Delta's broader efforts to provide our customers with a superior travel experience from curb to gate." U.S.-based SkyMiles Members get exclusive pricing on CLEAR membership through Delta's partnership with CLEAR, including free memberships for U.S.-based Diamond Medallion Members. 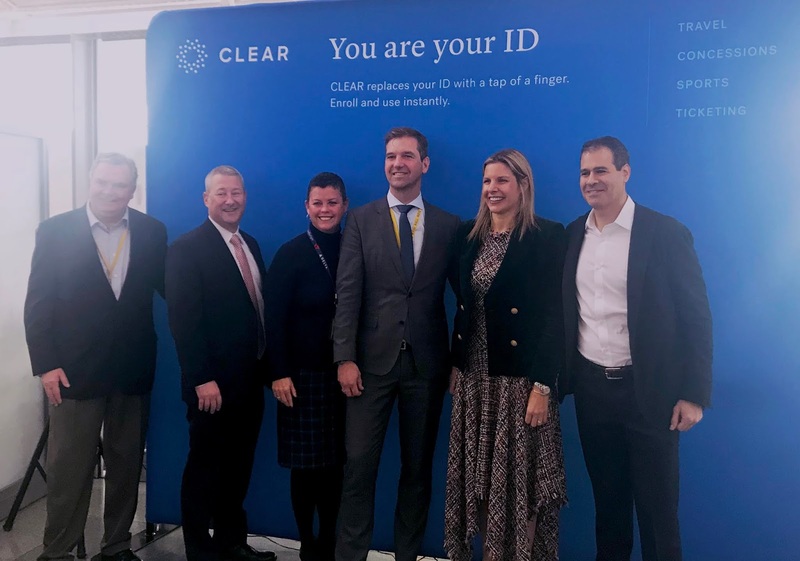 Delta Sky Club members with CLEAR or who are enrolled in Delta Biometrics and hold a Delta Sky Club membership can also use their fingerprints to enter any Delta Sky Club in the U.S.
CLEAR is the only U.S. biometric identity verification platform that uses fingerprint and iris I.D. technology to expedite the document check portion of the TSA security process. CLEAR members verify their identity in the dedicated CLEAR lane and then enter either TSA PreCheck or general screening depending on their status, reducing the overall amount of time spent at security.